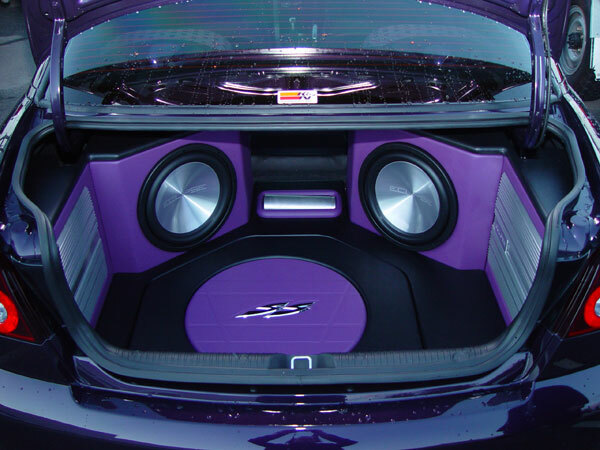 Select a manufacturer to view images from our car audio custom installations. All images are copyright. Any use of these images without consent is an offence. 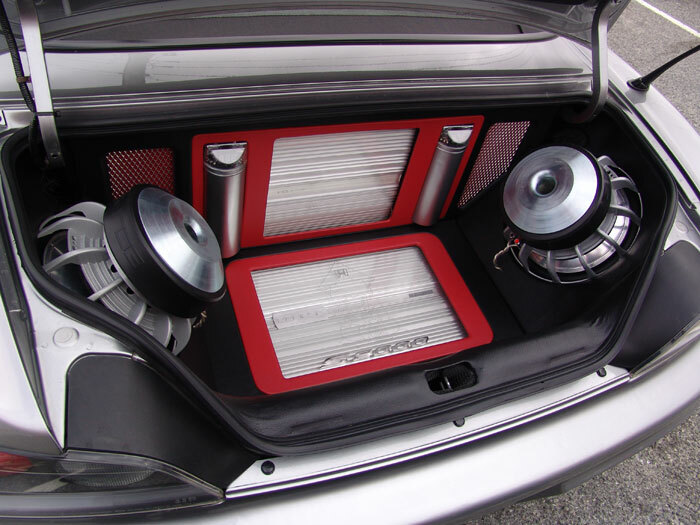 Alfa Four 10" Rockford subs in the Alfa tyrewell. 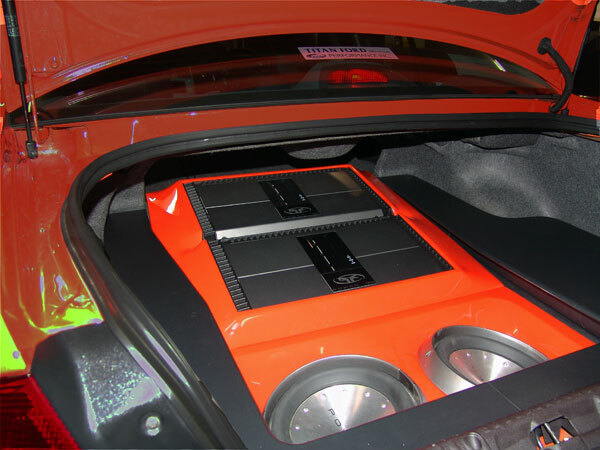 BMW 318 boot with Rockford subs in box and Alpine DVD Tuner on side panel. 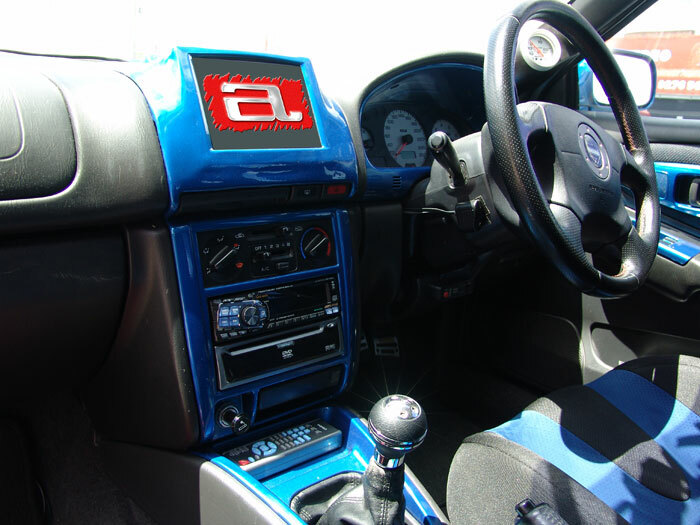 Ford BA XR8 Falcon Ute with Alpine screen in custom panel and Alpine CDA7998 in custom panel in tissue box slot. 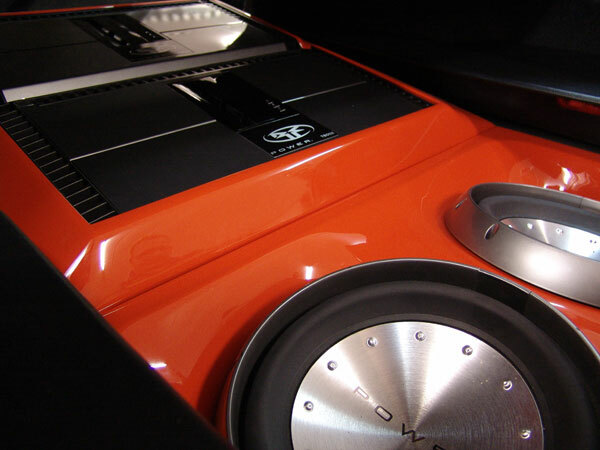 Ford BA GT Falcon custom boot install with Rockford Fosgate Power series 12" sub woofers and amplifiers. Ford Closer pic of above. Ford Ok ..... an even closer look. 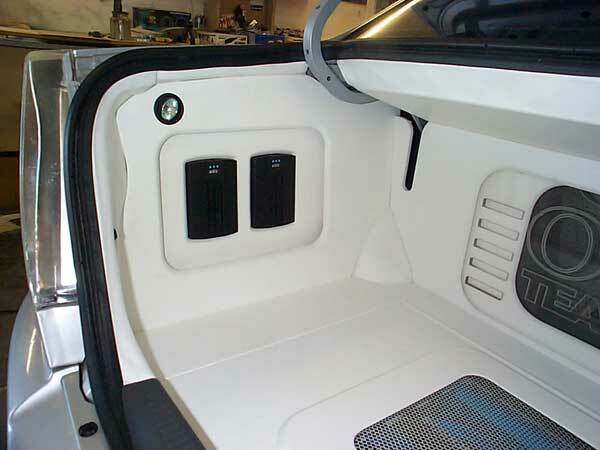 Ford XF Falcon doors. 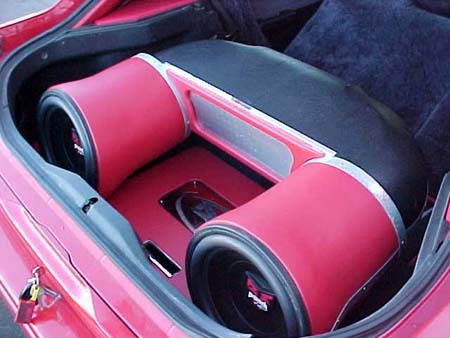 Double or nothing mids. 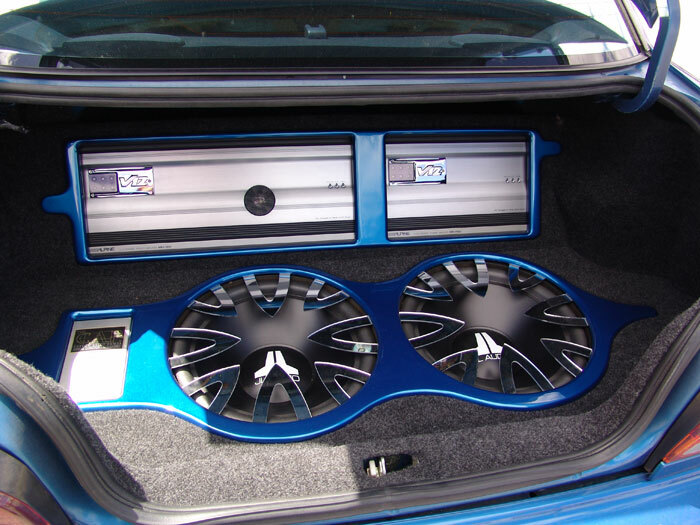 Ford EL XR8 with custom doors and grills. 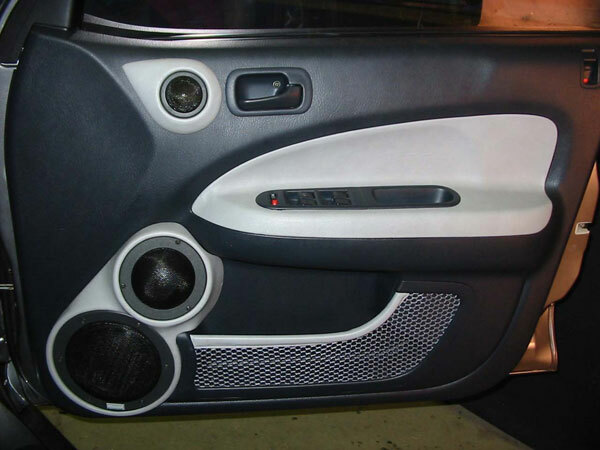 Ford EL XR8 with custom doors and grills removed. 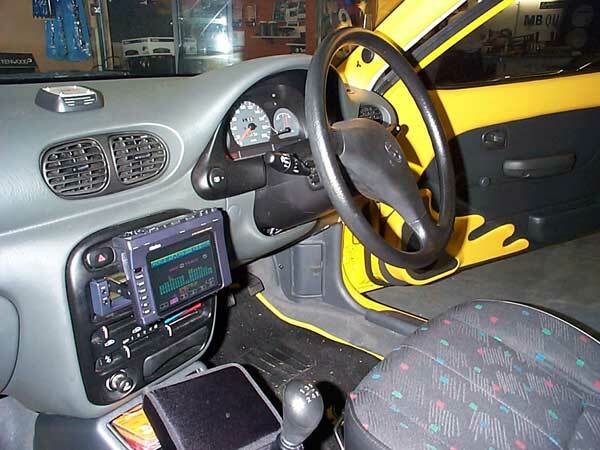 Ford TX-5 turbo with a box of mirrors. 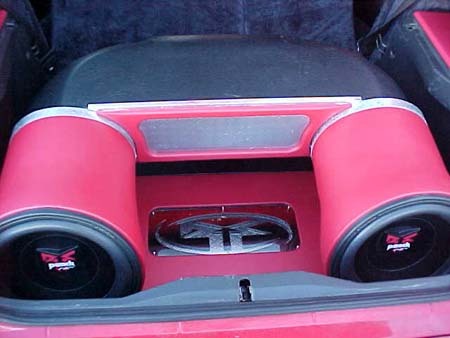 Laser Laser TX-3 15" sub box. 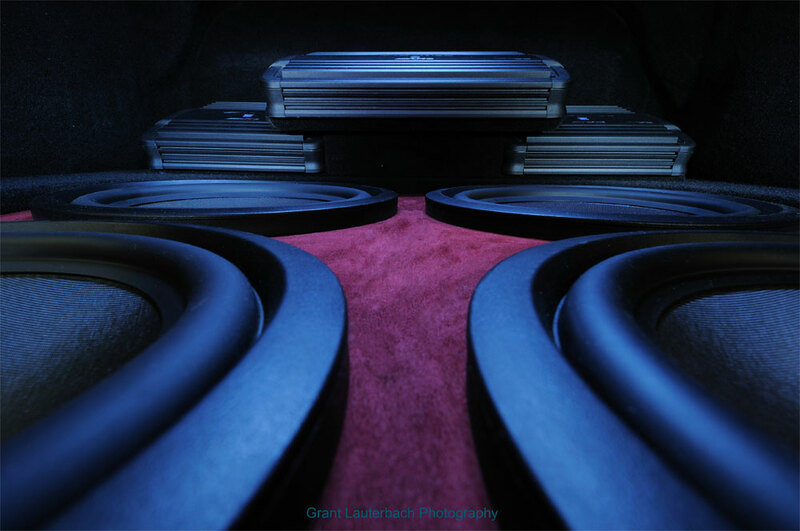 Laser Laser Rack-o- Rockford amps. 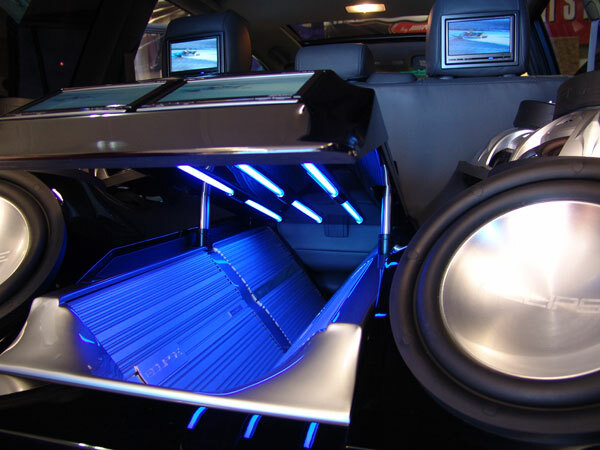 Laser As above but better view of amps and subs. 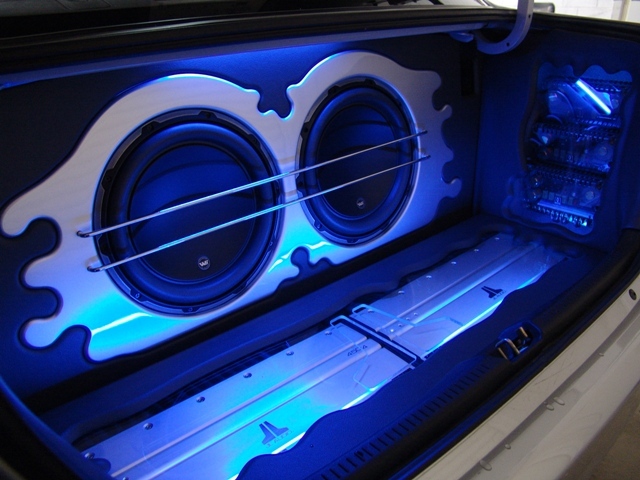 Laser Laser doors with two pairs power 6" one pair 4" and tweeters. 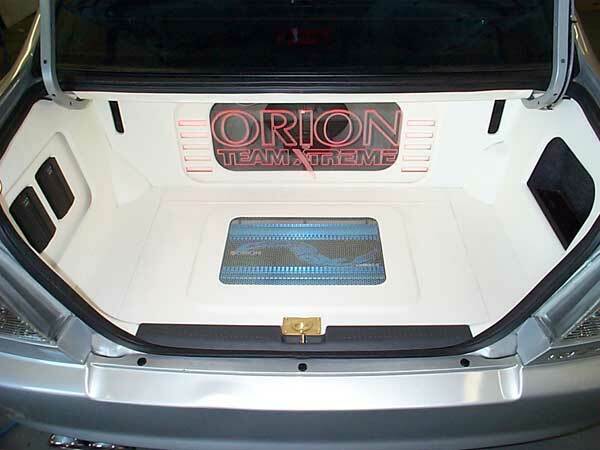 Laser Flame effect door panel. 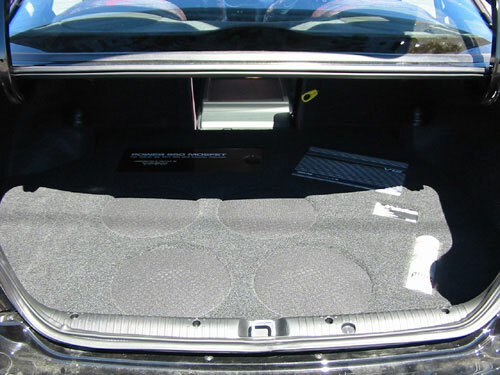 Laser Rockford amplifiers flush mounted behind sub box in floor. 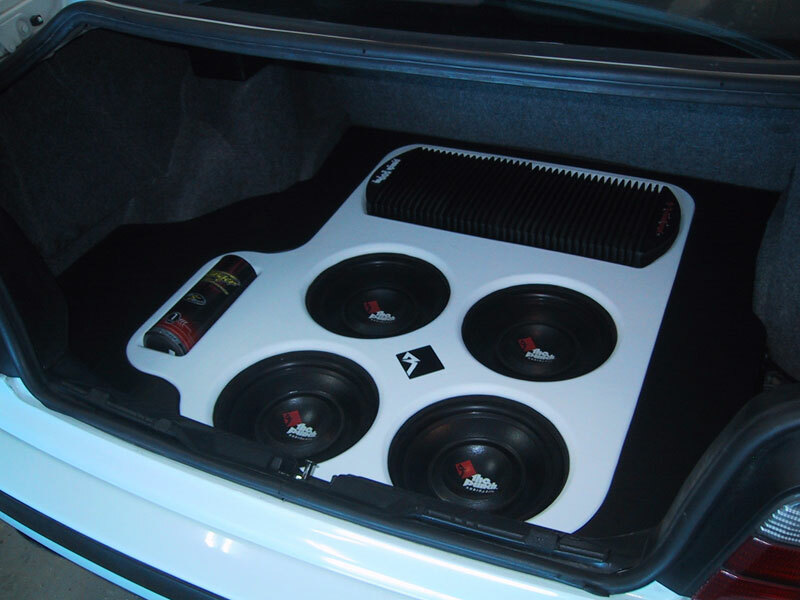 Barina Two power 15" subs. 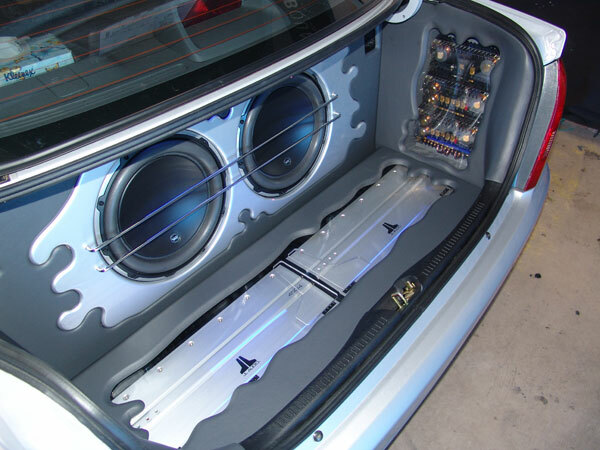 Now thats bass!! 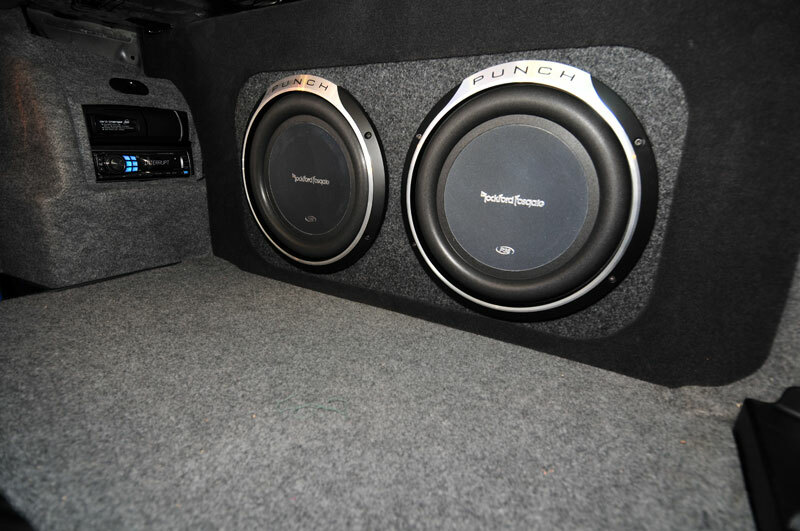 Clubsport VZ VZ custom boot with Rockford Fosgate Power series amplifiers and 12" Power Series Sub woofers in plexiglass box. 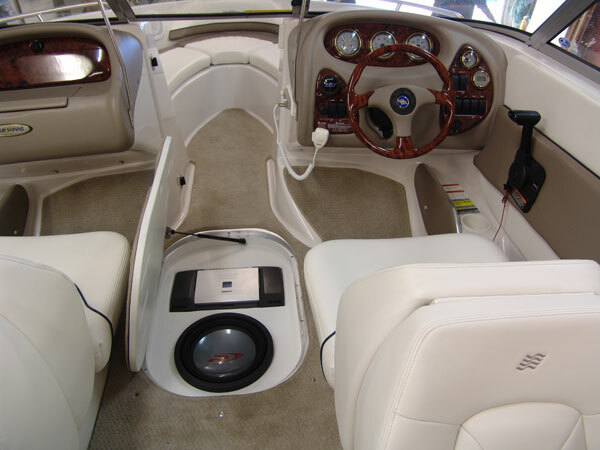 Commodore VK Commodore custom boot. 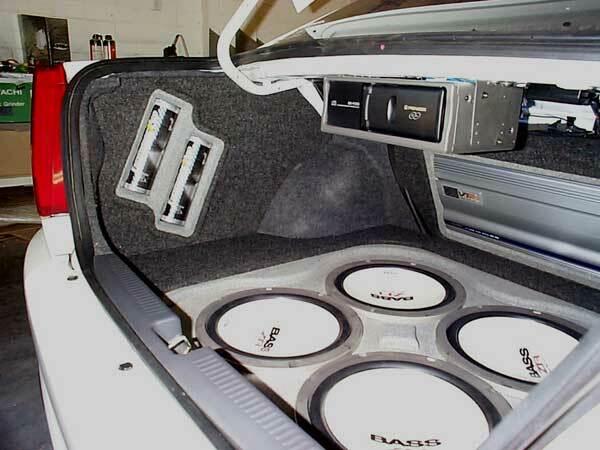 Lots of amps and subs. 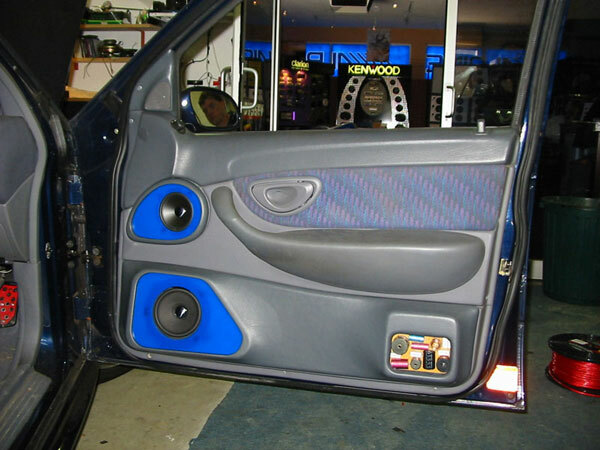 Commodore VK Commodore custom doors. 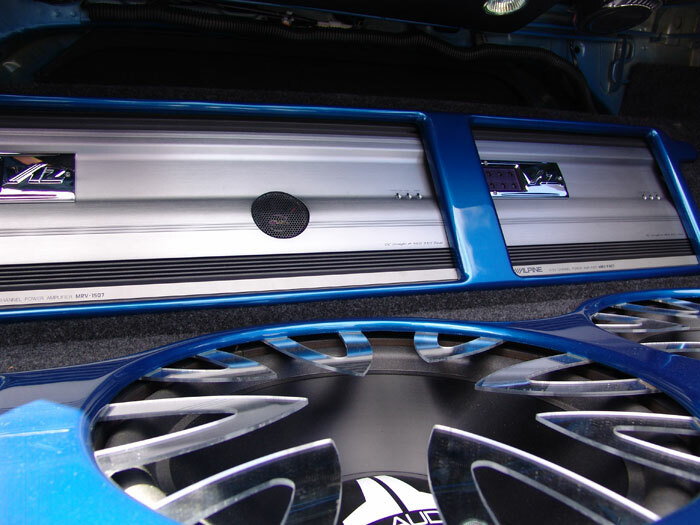 Alpine 6". 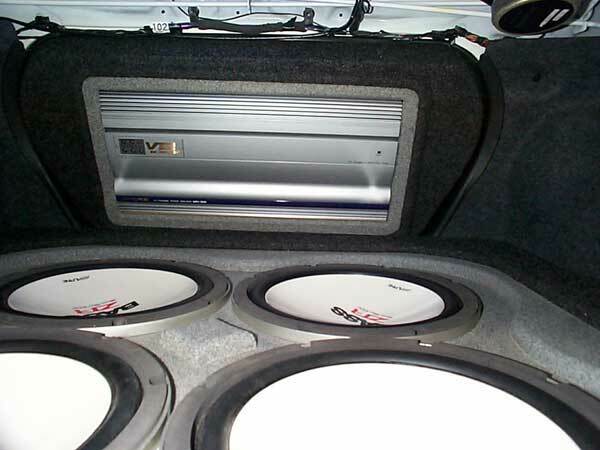 4" and tweeter in kick panel. 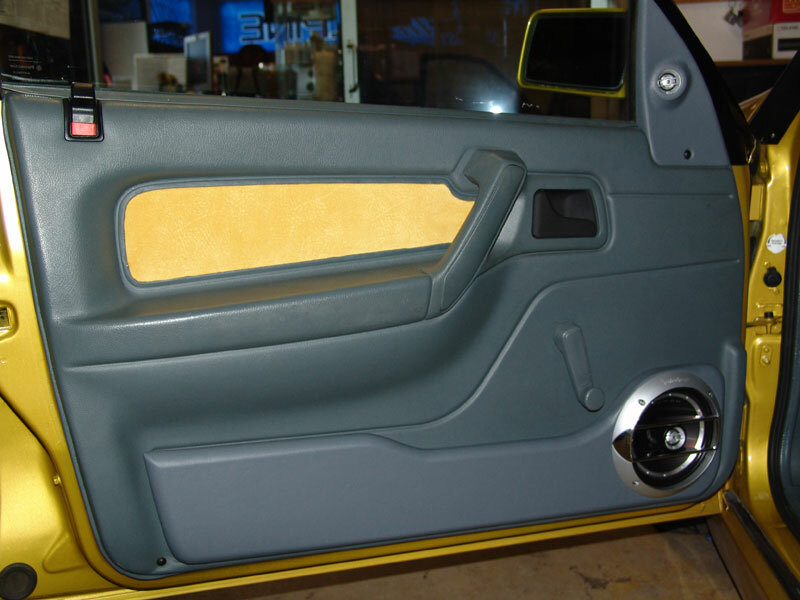 Commodore VL Commodore door panels. 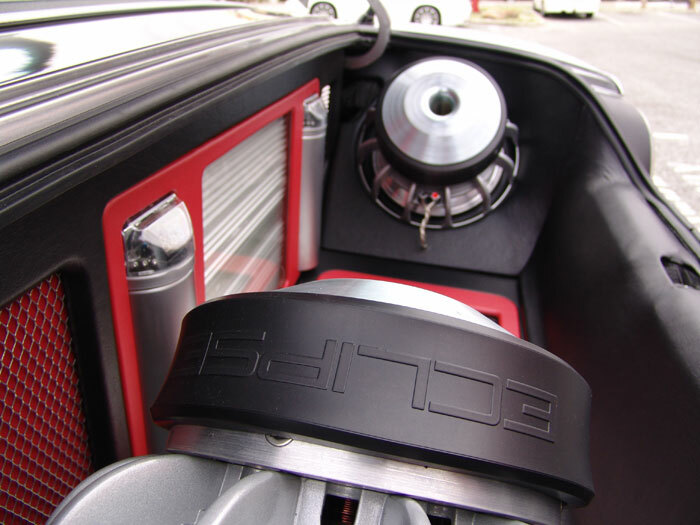 MB Quart 6", 4" and tweeter. 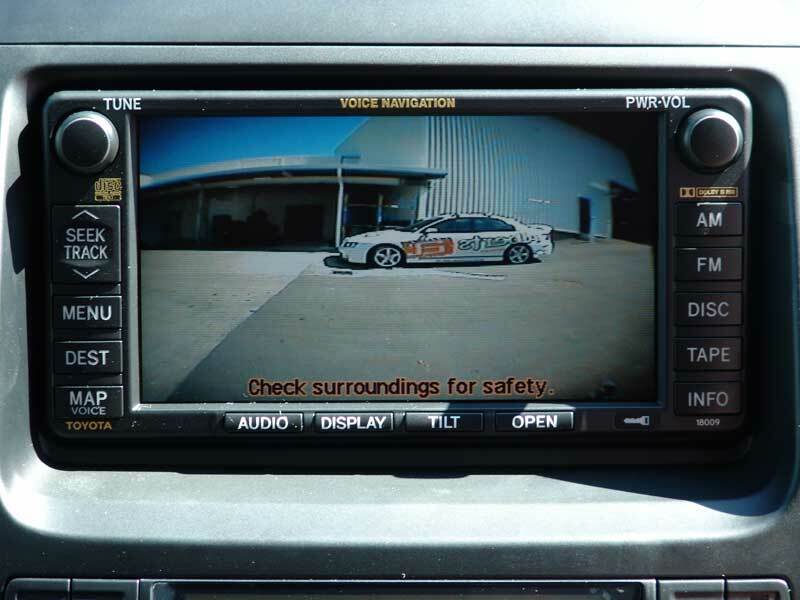 Commodore Angled shot of above. 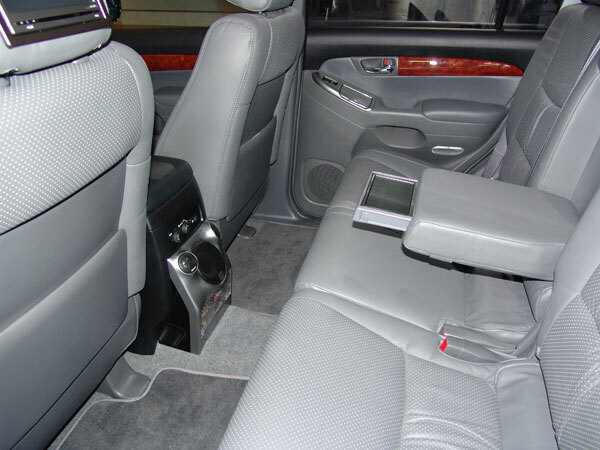 Commodore VN Calais. 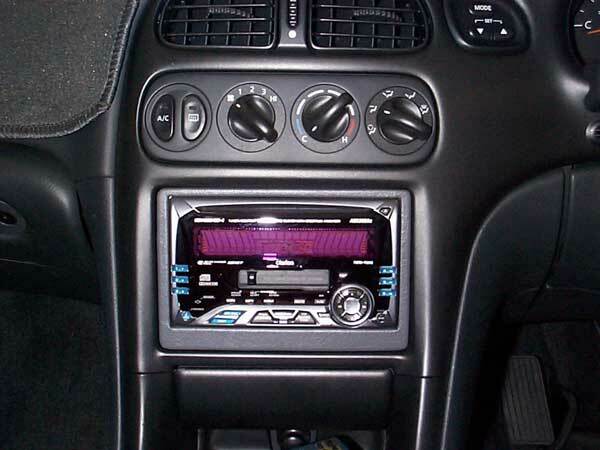 Alpine CD Tuner and graphic. 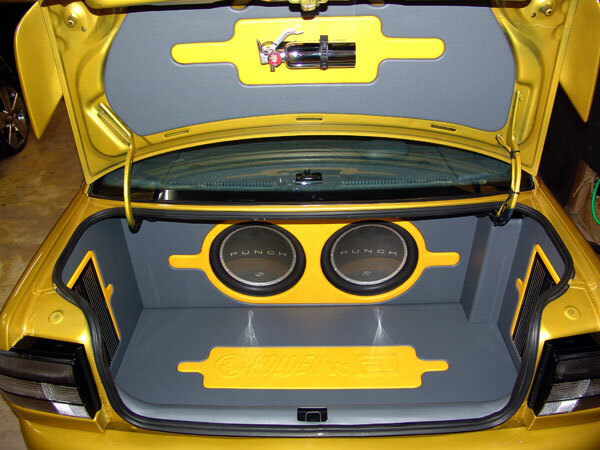 Commodore VN-SS factory looking but custom doors. 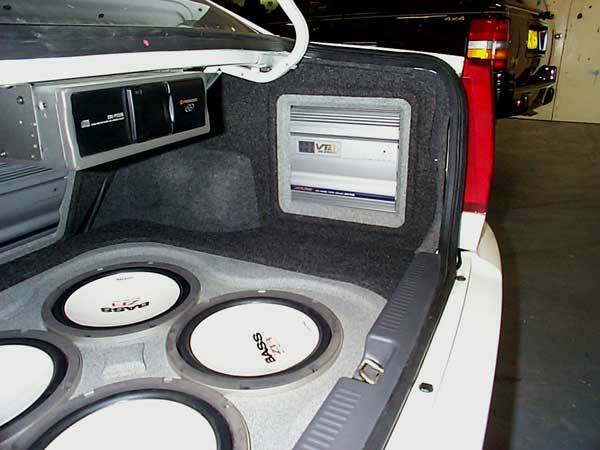 Commodore VN-SS with twelve 8" subs. 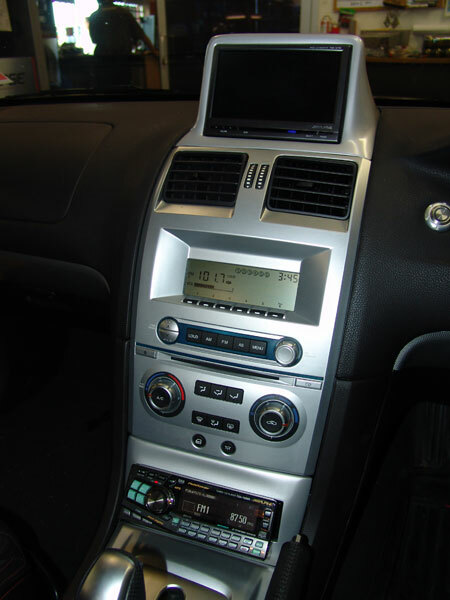 Commodore VT dash with double din deck and custom surround. 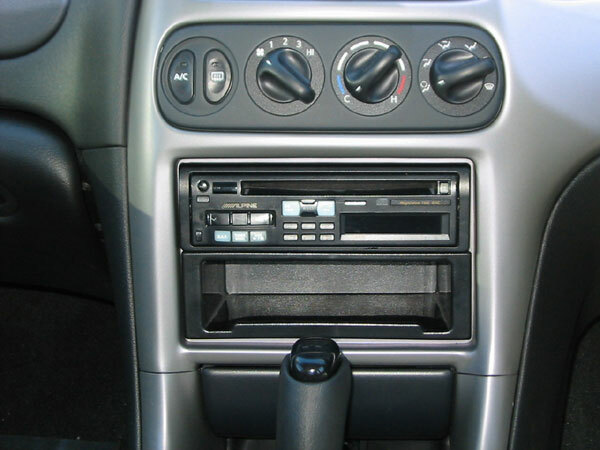 Commodore VT dash with single din unit and convenience pocket. 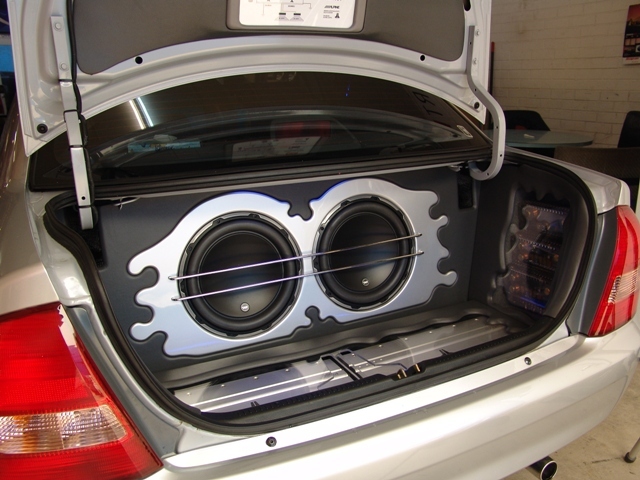 Commodore VT with two JL Audio 12W3 subs in tyrewell. 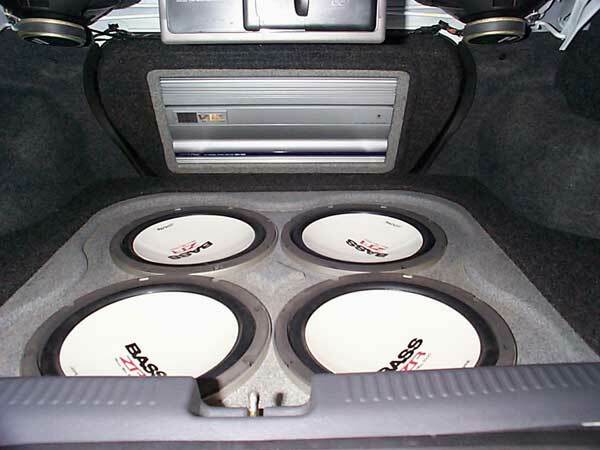 15" will also fit. 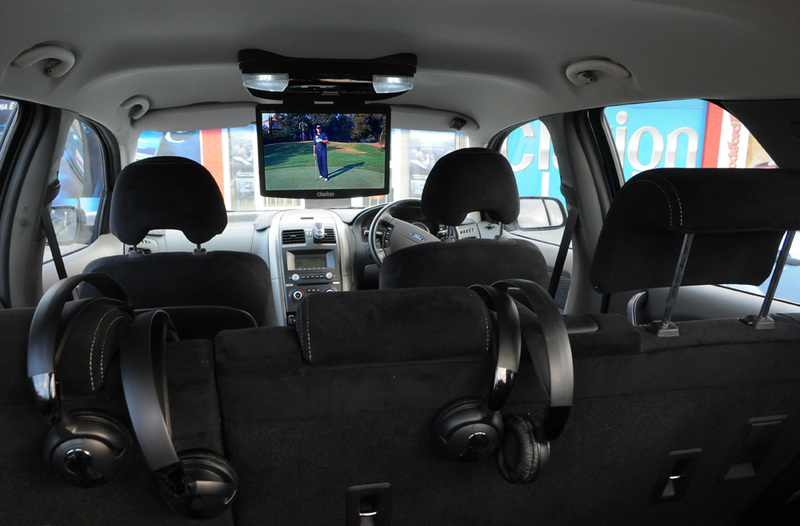 Commodore VT with four in tyrewell. 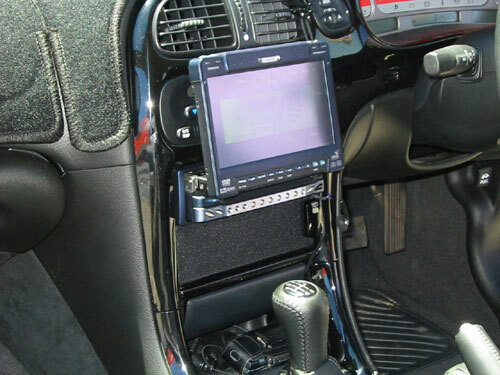 Commodore VT with Clarion in dash DVD/Screen. 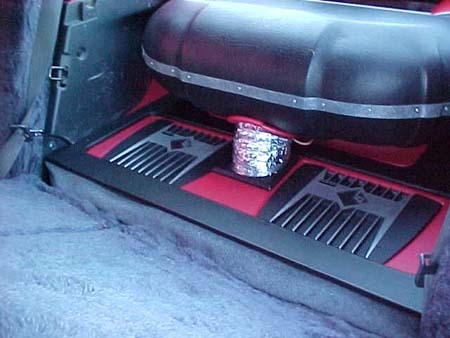 VY Commodore VYSS As custom as a boot can get. 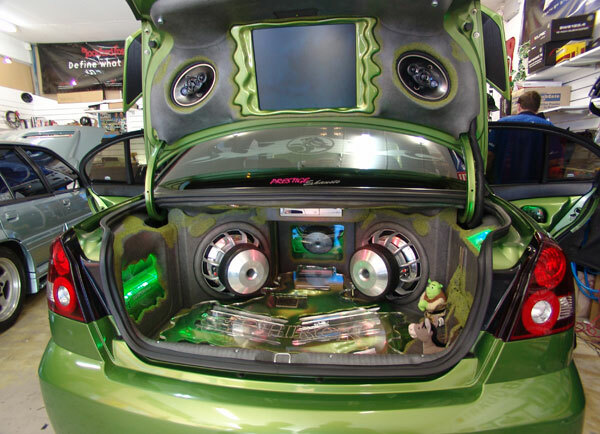 A Shrek theme even with Donkey on the side. 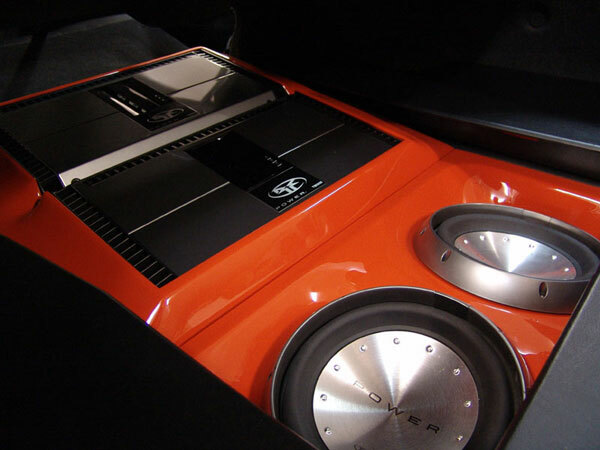 Three 12" Eclipse sub woofers, many Alpine amplifiers, plexiglass, air bag suspension and just a little fibreglass and paint!! 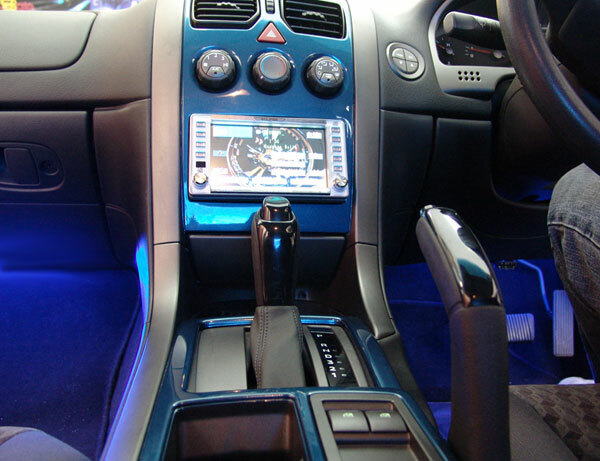 VY Commodore Custom dash panel and painted console with Eclipse DVD screen. 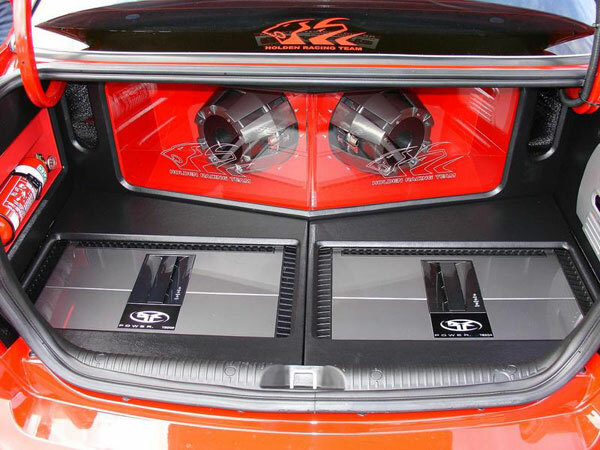 VY Commodore Custom door panels with 2 pairs of Power Series Rockford splits. 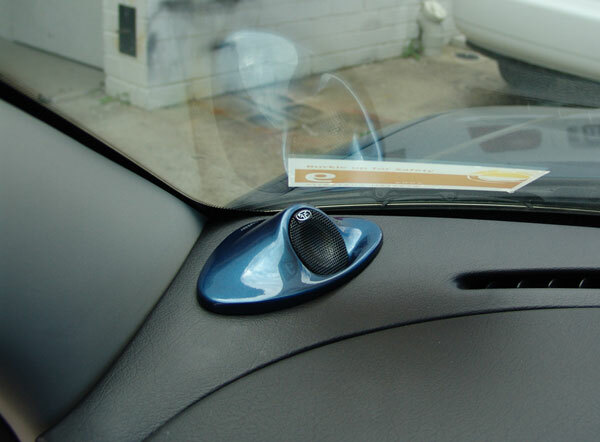 VY Commodore Custom second tweeter mounting on door mirror sail. 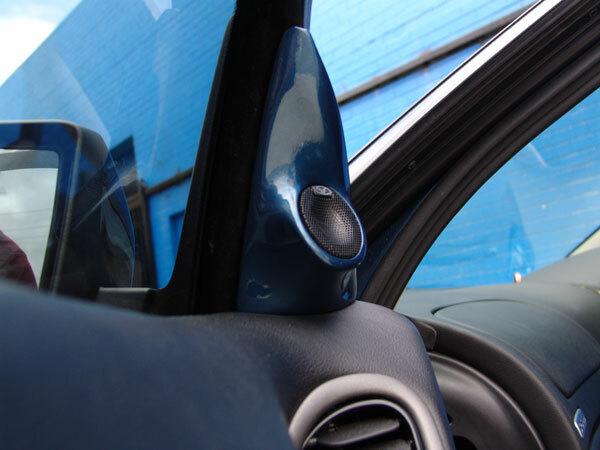 VX Commodore Vinyl trim in custom tyrewell with fibreglass sub enclosure. 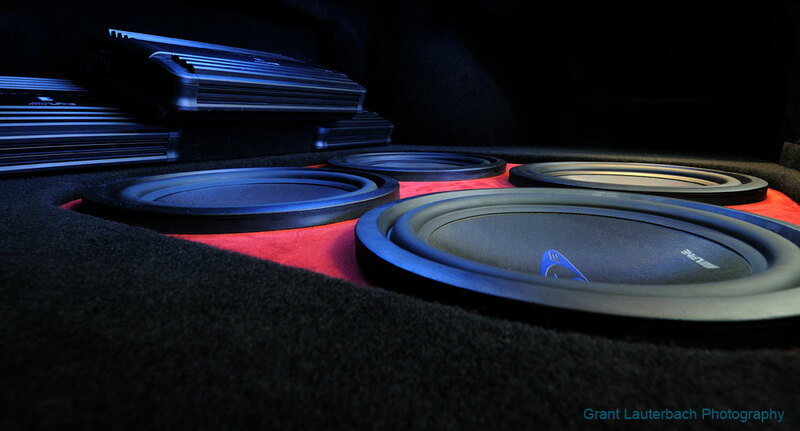 VX Commodore Vinyl trim in custom tyrewell with fibreglass sub enclosure (Wide shot). 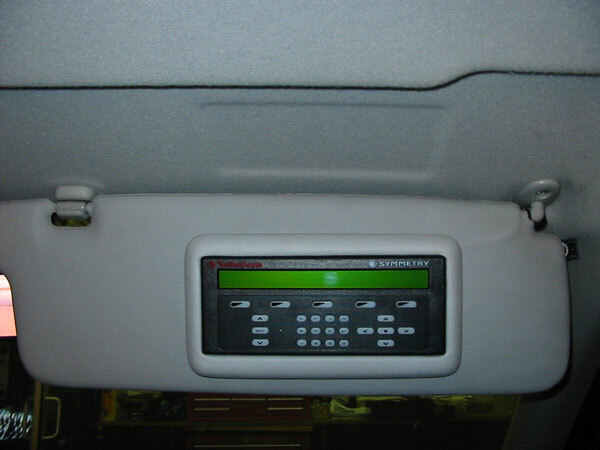 WB Van Holden WB Panel Van. 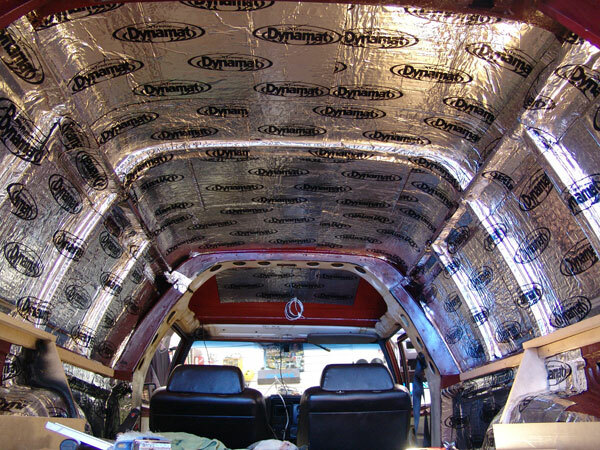 Getting ready for a big system with just a little Dynamat. 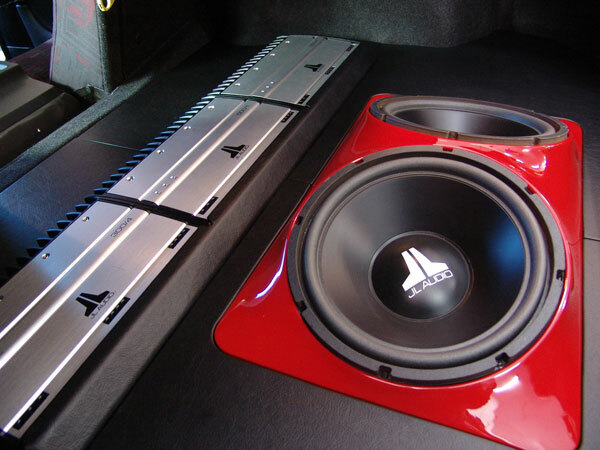 Accord Euro Honda accord Euro with a custom side sub box with 10" Eclipse sub woofer. 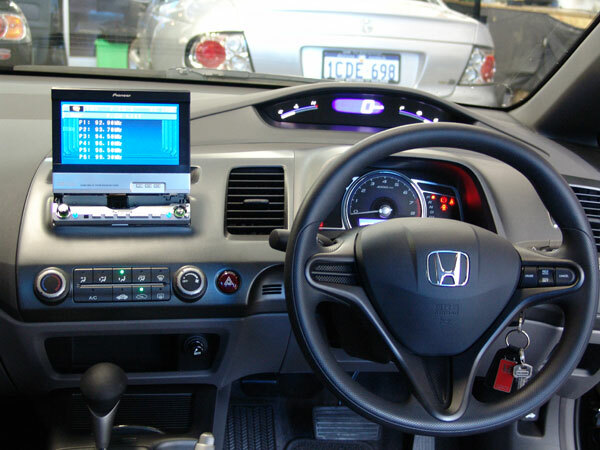 Civic Honda Civic with custom modified fibreglass dash to fit single din screen. 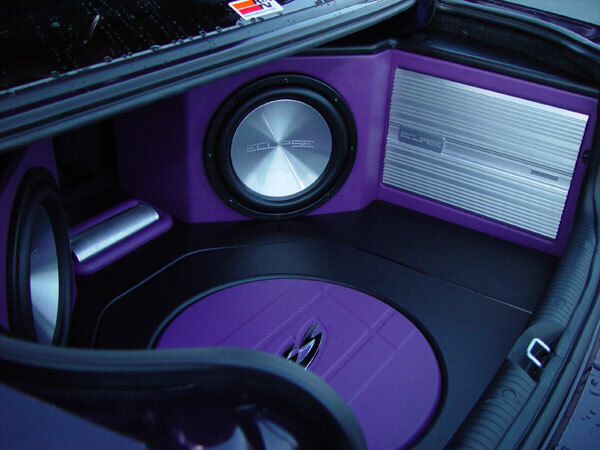 Hard to tell its not factory. 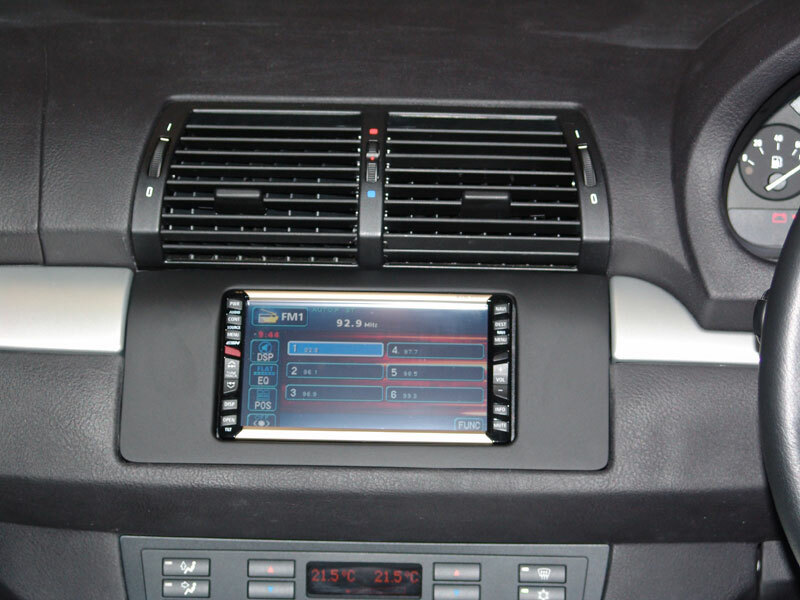 HRV Eclipse CD8061 in dash with a nice panel for meters and cup holder. 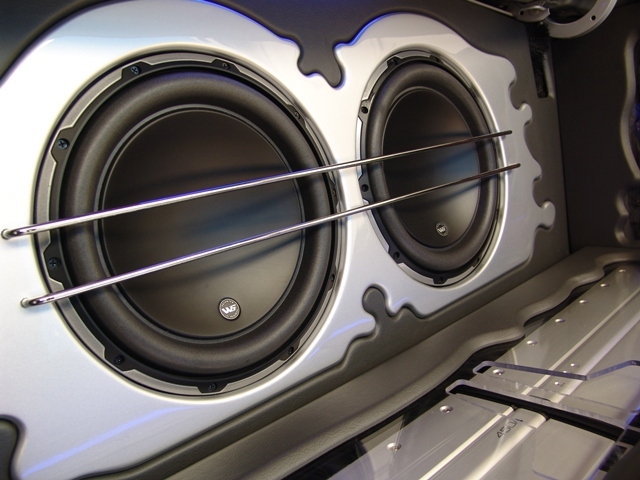 HRV Custom door panels with Dynaudio three way splits. 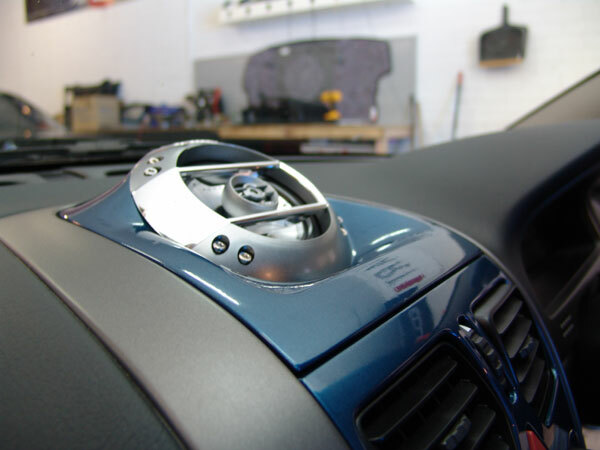 HRV Rockford Fosgate Symmetry controller mounted to sunvisor. 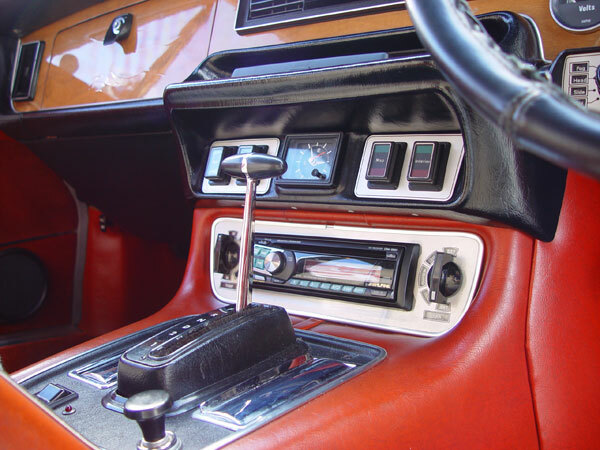 1977 Jag Dash shot with Alpine CD Tuner. 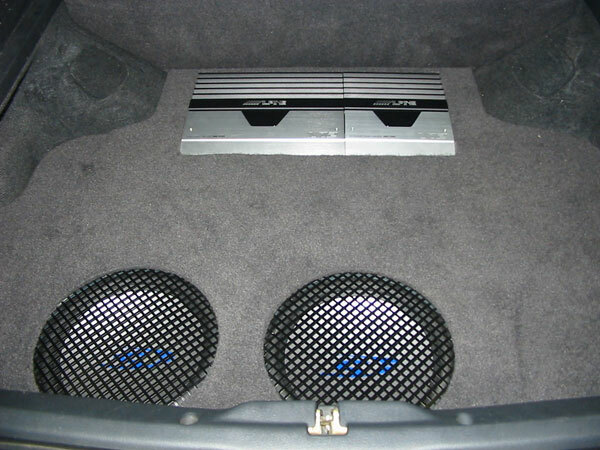 MX-5 Boot with Rockford Power and Alpine CD changer. 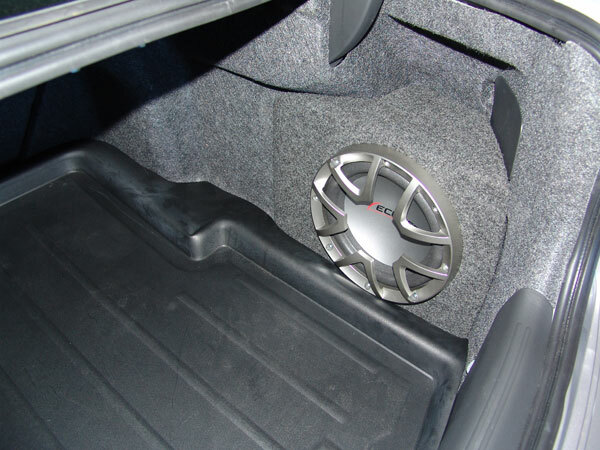 RX-7 Rockford 10" in an impressive tyrewell install. 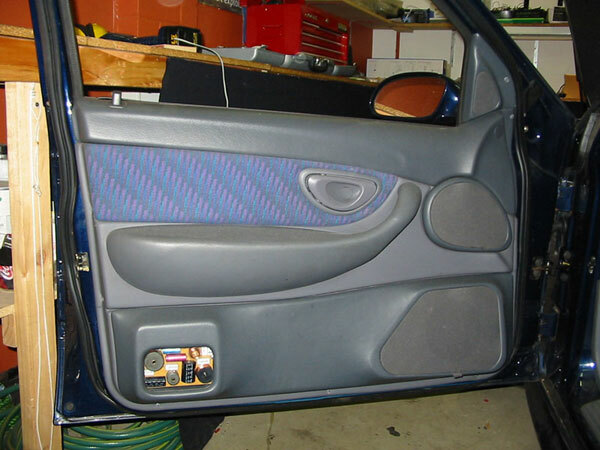 RX-7 Doors with a difference. 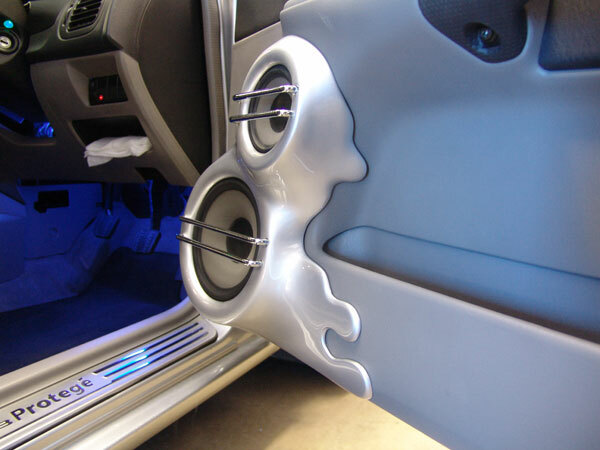 Mercedes Mercedes Benz creative boot. 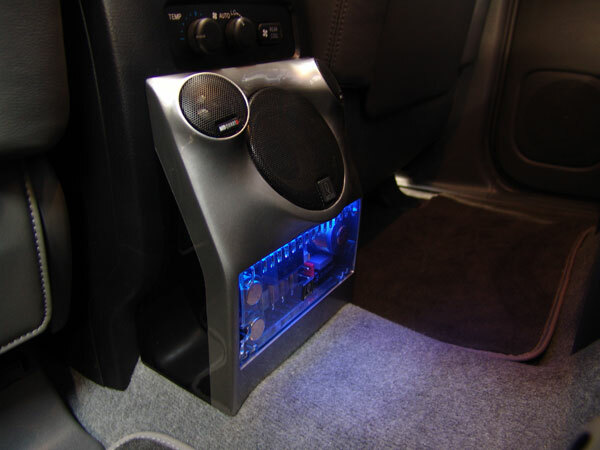 Lancer Opting to go with a sub box with plenty of cool lights and plexi glass, and keeping the spare wheel. 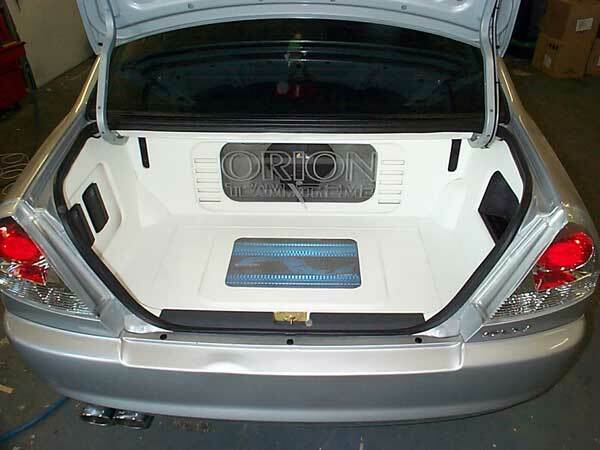 Lancer Great job of flush mounting components and attention to detail with difficult angles in brilliant white vinyl. 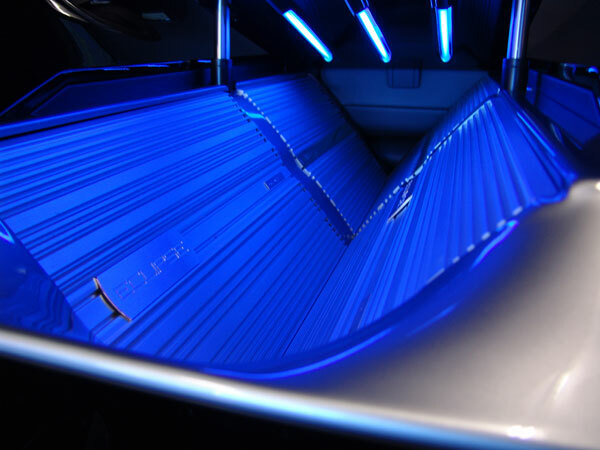 Lancer Sensational job but just need a little more light on the situation. 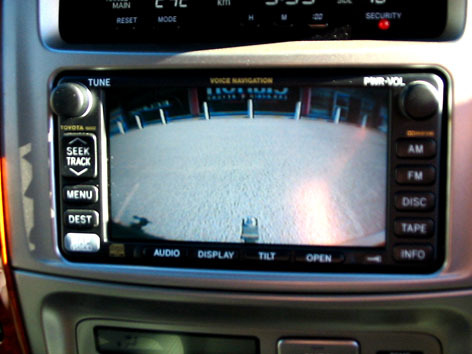 See next image! 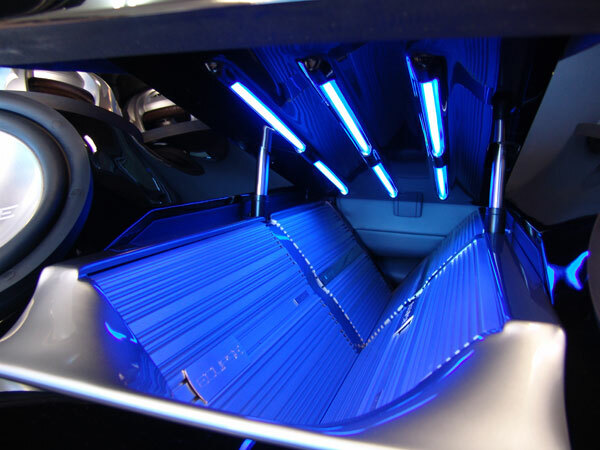 Lancer Awsome effect with internal reflection with edge mounted LED's on engraved plexi window with view to rear of subs. 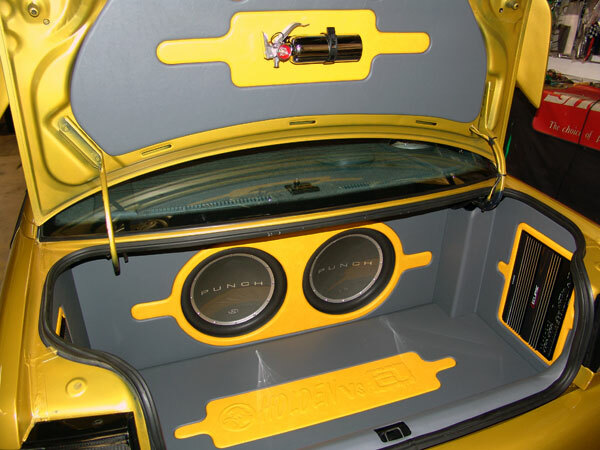 Magna A very tidy Mitsubishi Magna custom boot. 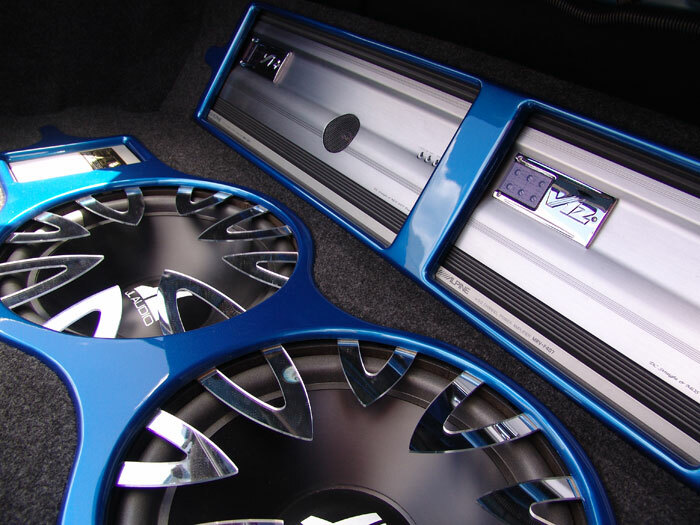 Four Alpine Type-S 12" sub woofers in a custom floor and three Alpine amplifiers using a floating look. 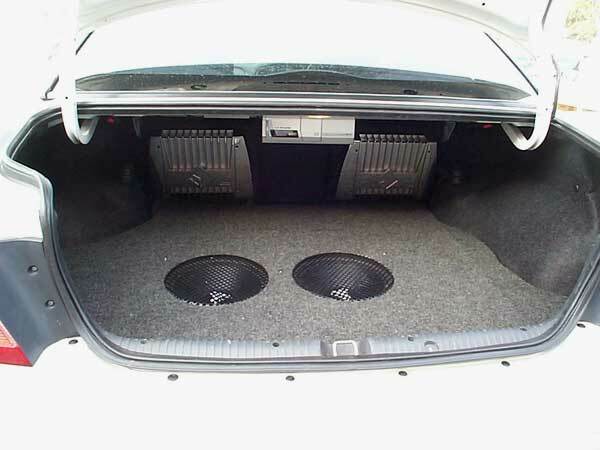 Magna Another look at the very tidy Mitsubishi Magna custom boot. 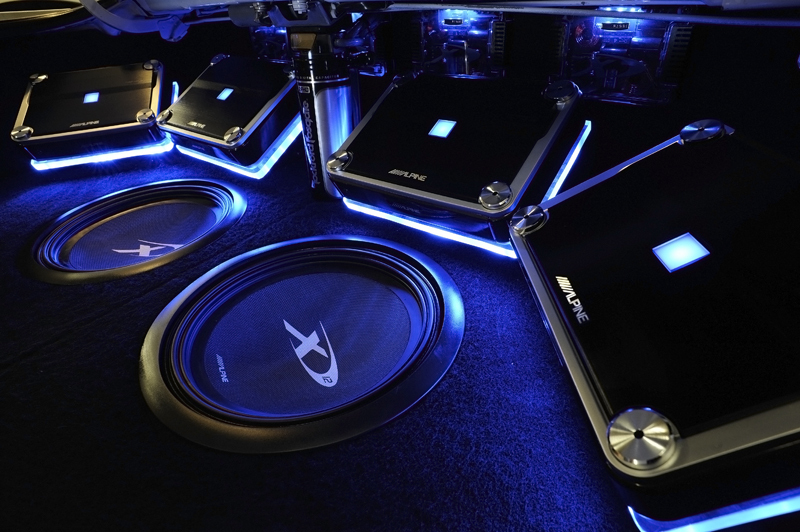 Four Alpine Type-S 12" sub woofers in a custom floor and three Alpine amplifiers using a floating look. 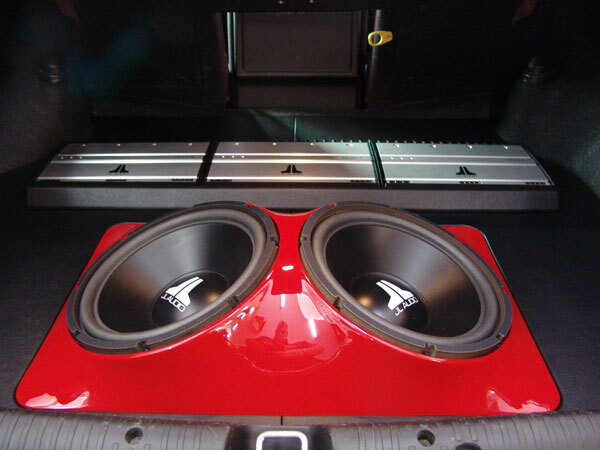 Nissan 180 SX tyrewell install with two subs and two Alpine amplifiers. 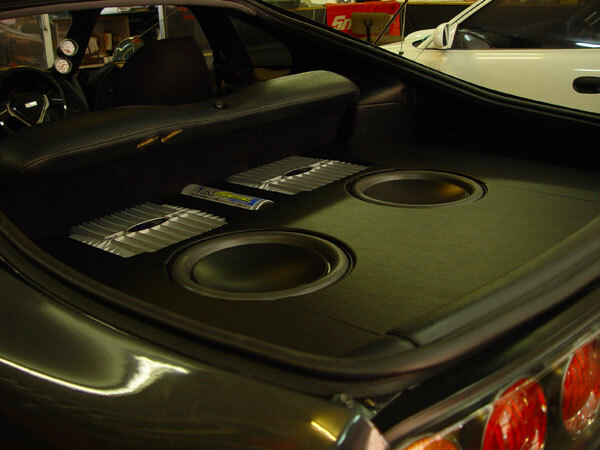 Nissan R34 Skyline tyrewell install with two Alpine Type X subs and four Alpine PDX amplifiers. 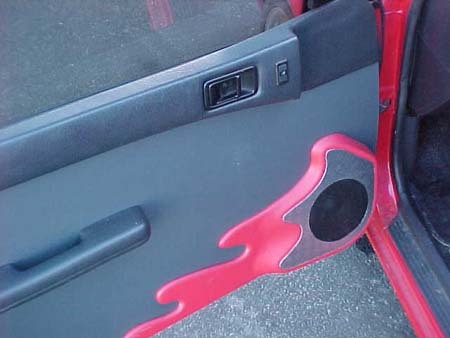 WRX Custom boot with creative grill pieces. 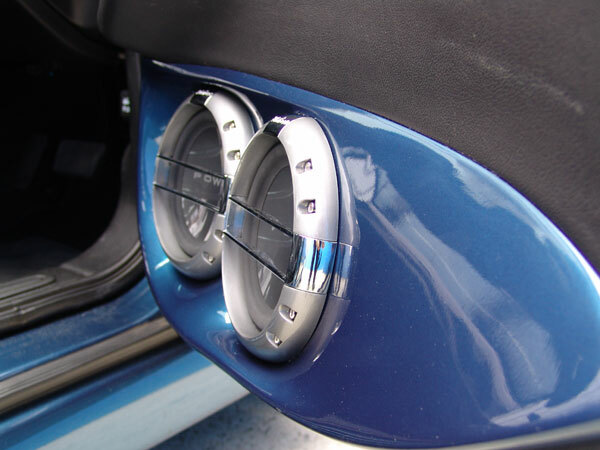 WRX Close up of above. 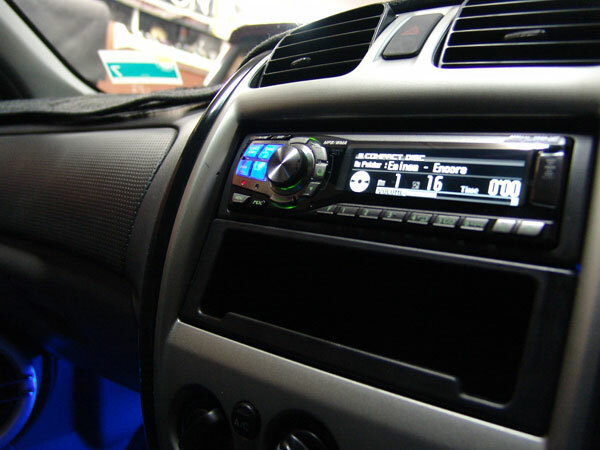 WRX Ok ... another angle of the above but you wanted this. 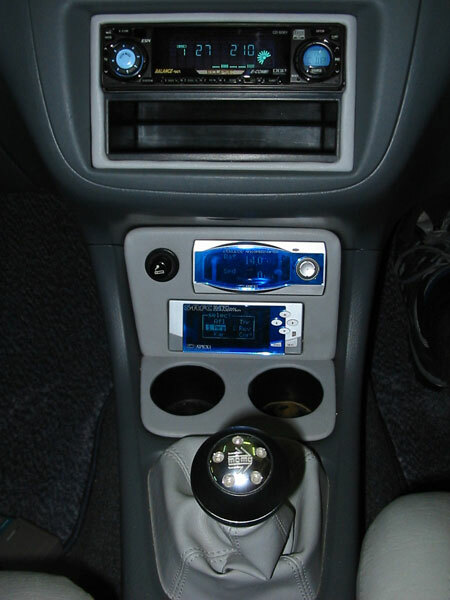 WRX Custom dash with in dash Monitor, CD Tuner and DVD. 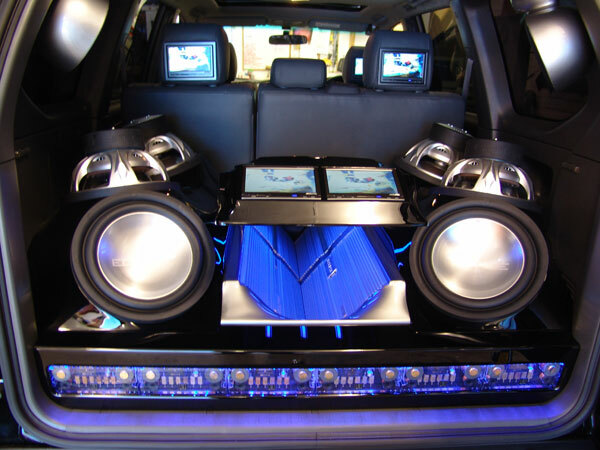 Below are some images of the Pimped Toyota Prado that appeared in Perth Street Car Magazine. 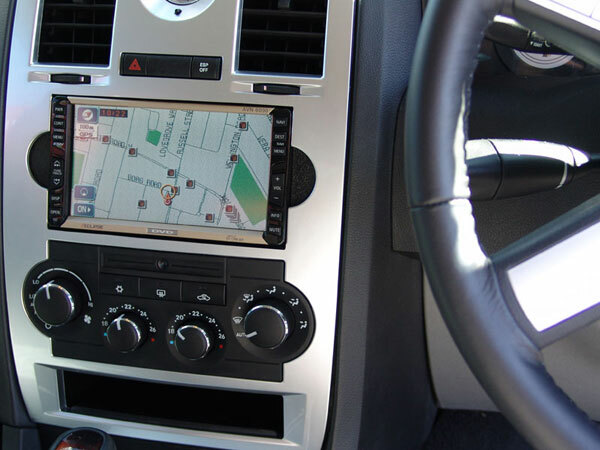 It had a total of eleven screens including the factory navigation screen. 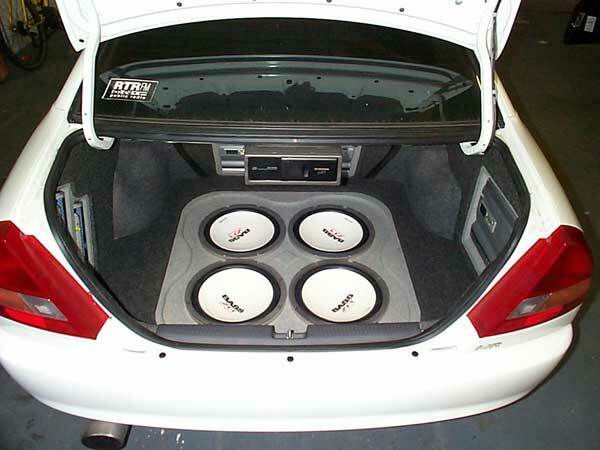 Six Eclipse twelve inch sub woofers, six Eclipse amplifiers and three pairs of MB Quart Q series splits. 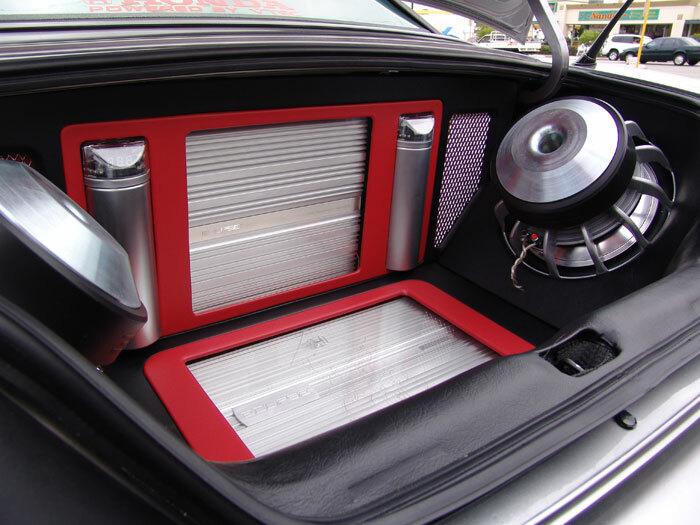 Simply AWESOME!!! 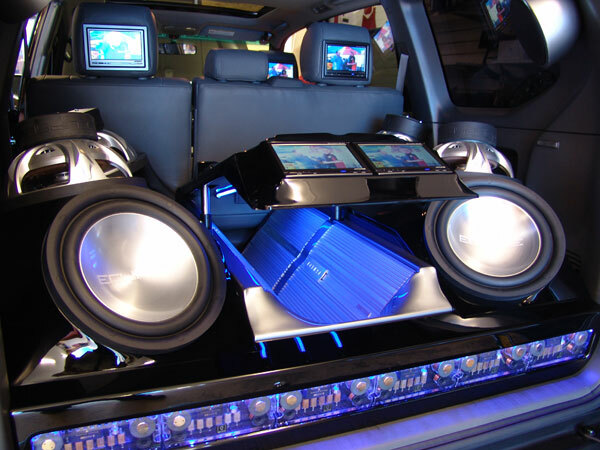 Toyota Prado Wide shot from rear showing screens, motorised amp rack, subs and crossovers. 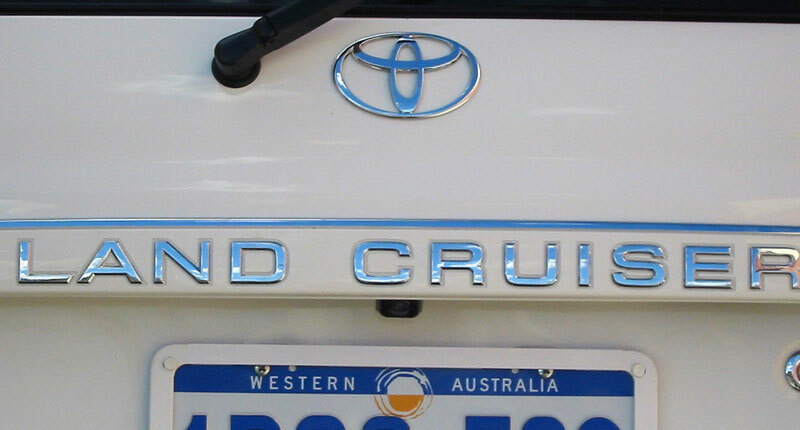 Toyota Prado Closer photo of above. Toyota Prado Another wide shot from directly behind. 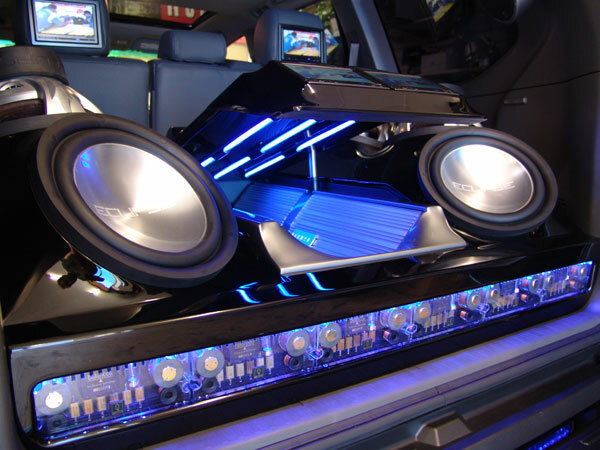 Toyota Prado Showing neons under motorised amp rack. 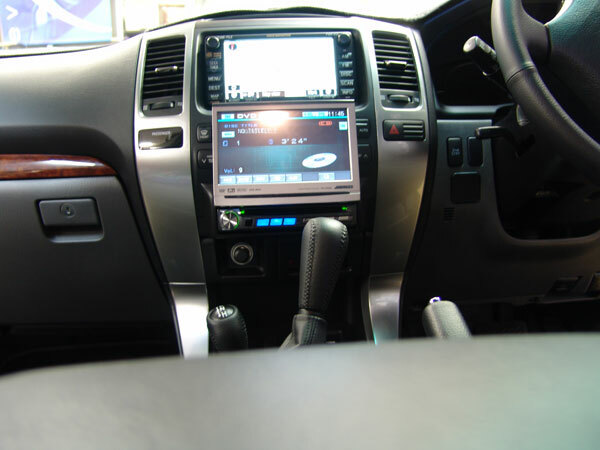 Toyota Prado Dash shot showing factory and Alpine IVAD300 screen. 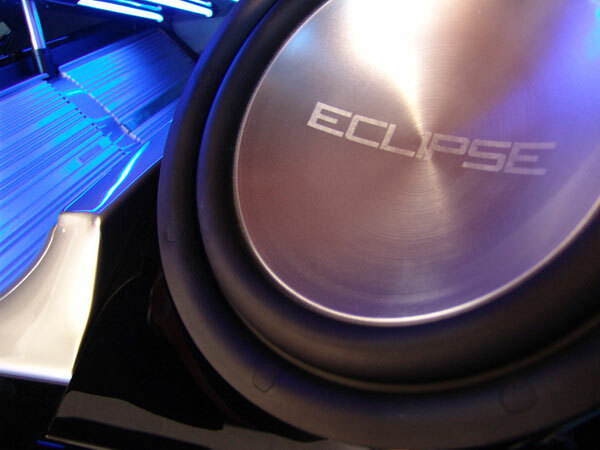 Toyota Prado Close up of Eclipse aluminium sub woofer. 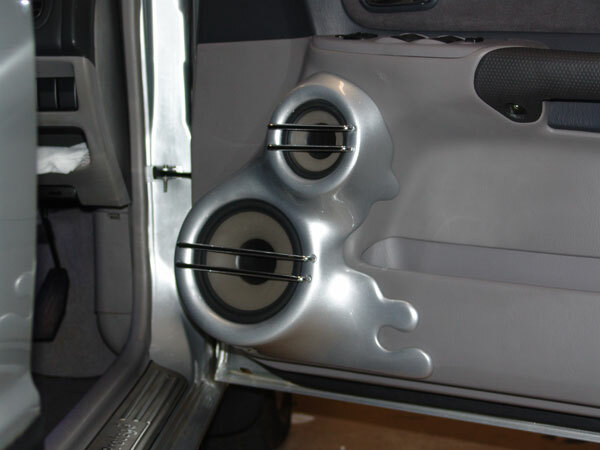 Toyota Prado Rear centre channel speaker in custom enclosure. 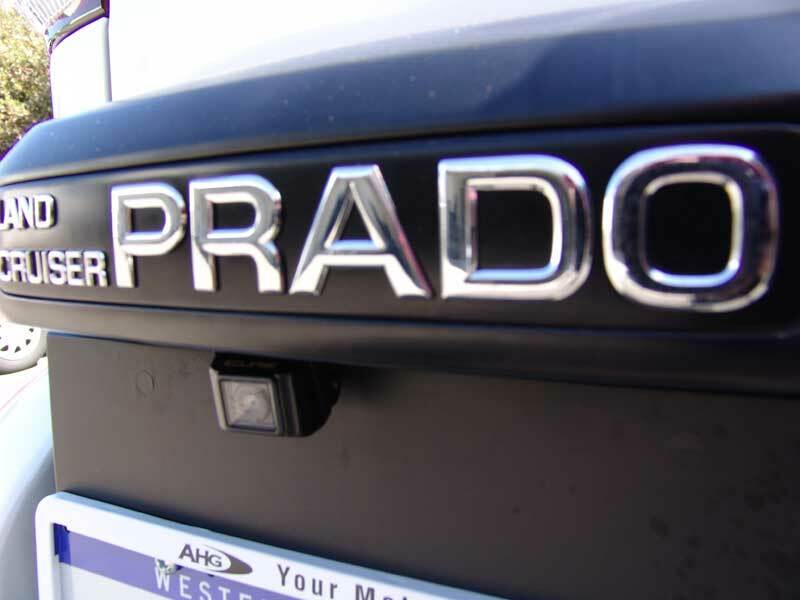 Toyota Prado As above with illuminated MB Quart illuminated Q series crossover. 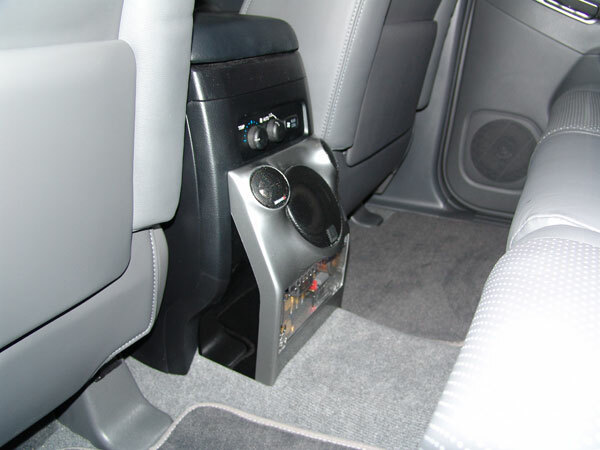 Toyota Prado Pop out screen in rear drink holder location. 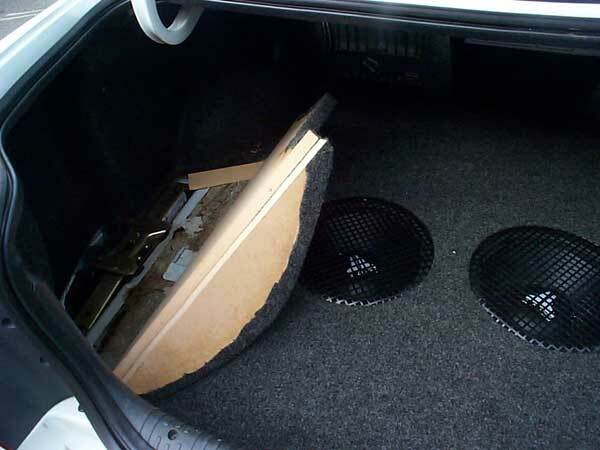 Boat Alpine amplifier and 12" Type R sub in special enclosure in floor with the door closed. 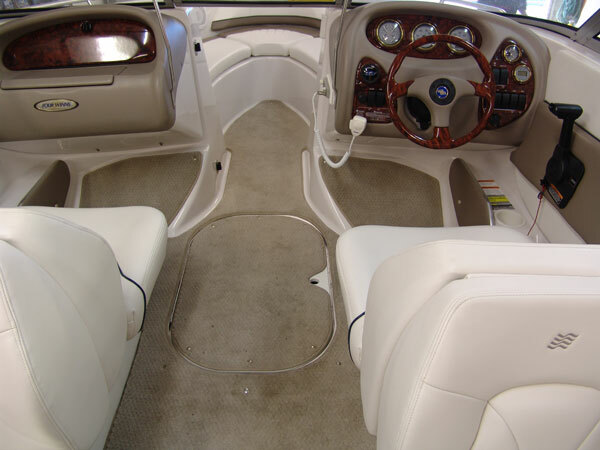 Boat As above with door open.